Would a two-headed Cyclops mean it had normal depth perception? No, because each eye feeds into an independant brain. War Trolls. Mercenary bands capable of sophisticated combat tactics. Peace Trolls. Mercenary bands capable of hospitality and festivity. Speaking of trolls, how do you guys like your trolls to look? 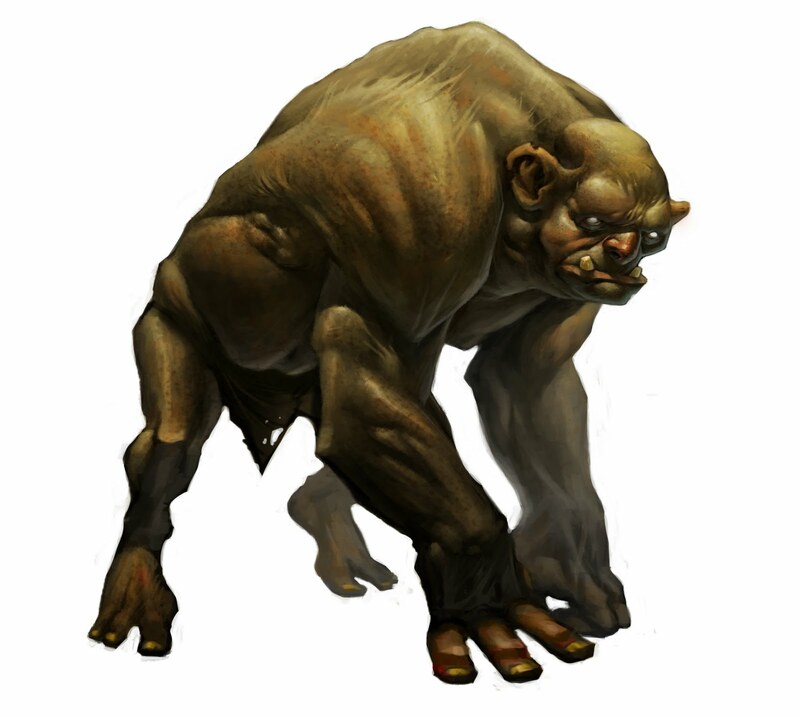 Seems that in most CRPGs, trolls either tend to look like D&D's version (green skin, lanky bodies, high speed & agility) or more like the Lord of the Rings movies (fat ogres). I tend to prefer the later when it's done well. 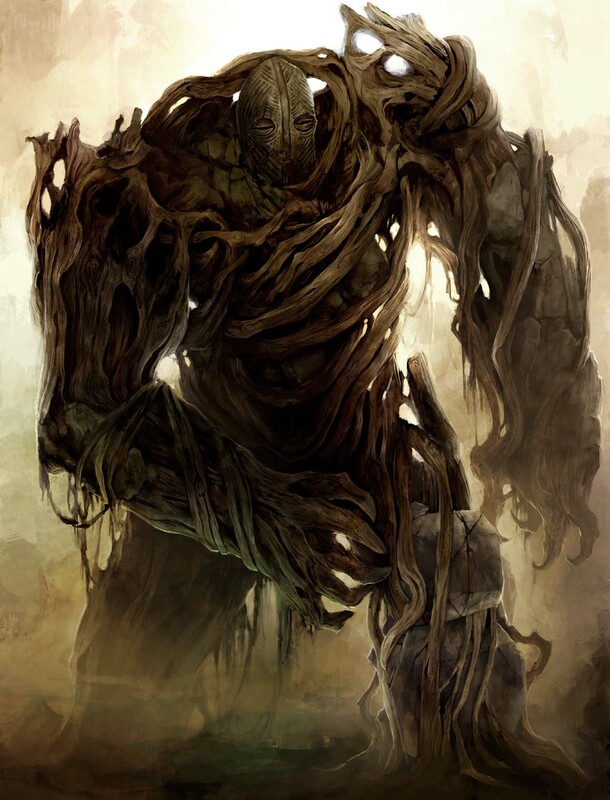 Didn't like Dark Age of Camelot's trolls that looked exactly like Thing from Fantastic Four, but I do like the idea of giving them a sort of earthy affinity. I really like the LOTR trolls, with their scraps of steel or hide armour. It gives them a hint of intelligence and "culture" if you can call it that. Here are some other designs from a quick google search. Scaly Troll. (LOTR Concept Art). While I like the D&D edition troll, I'm not totally partial to it. When I hear troll, I think ugly and gnarled. I don't need agility, nature affinity, or even green skin. Give me warts, skin that looks thrice baked, and long, crooked noses. As long as they're an ugly sight to behold, I'll be happy. Being giant doesn't hurt though. 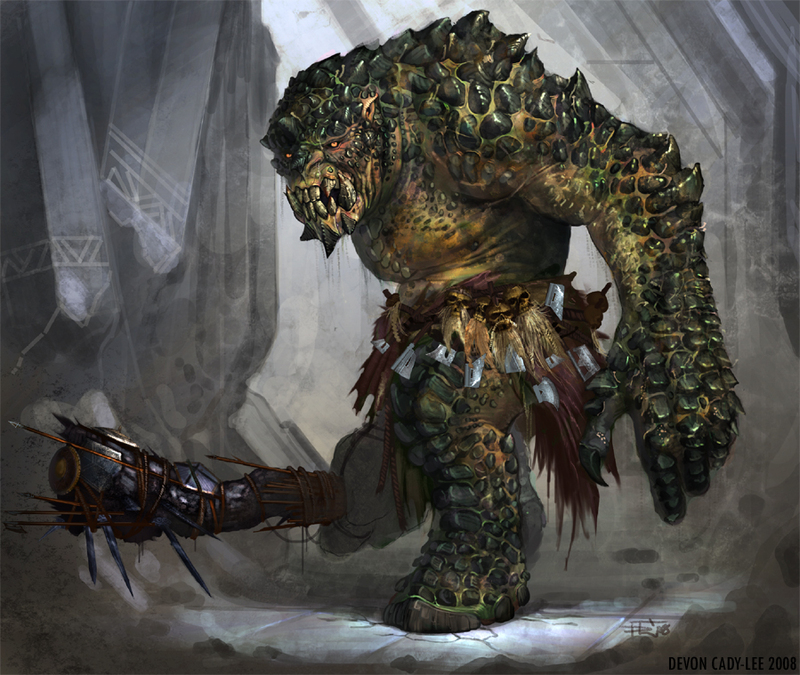 Some awesome Minotaur concept art. Yes!!! Minotaurs! 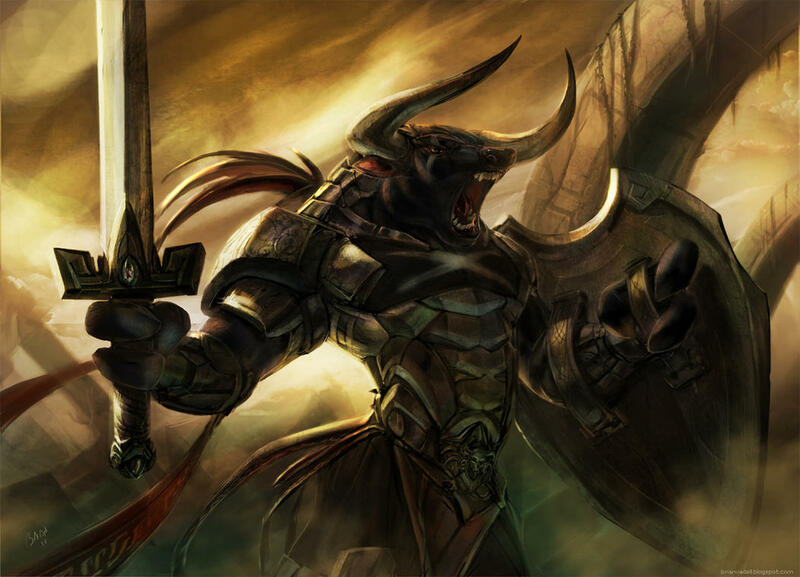 I love minotaurs. Also, centaurs, gargoyles, giants, cyclopes, harpies, hydras, manticores. Can you tell I like Greek mythology? 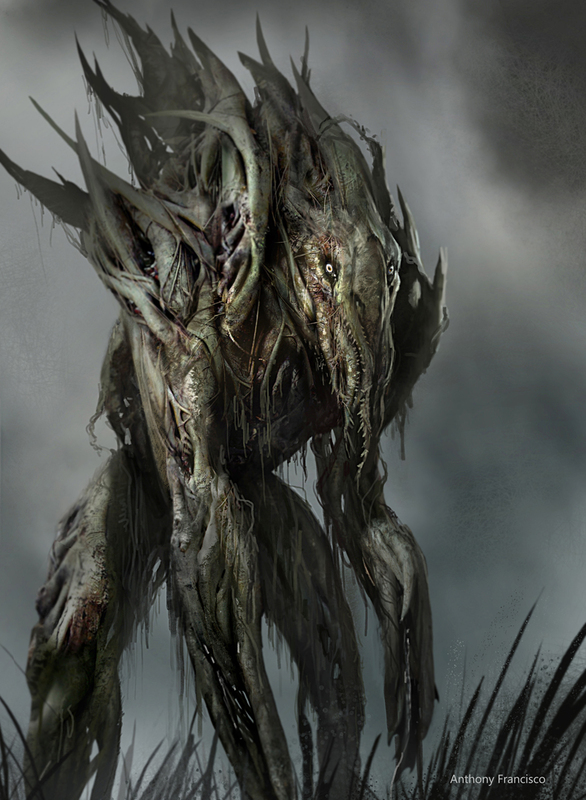 I'm hoping there will be a viable food chain/economy (probably using the wrong word) eco system -man I'm stupid- in PE instead of random monsters infesting everything and you just sit there and wonder why they haven't trampled every city to dust with their pathetic level 1 guards. Also, proper creatures instead of monsters. And personally, I'd be happy if not every creature was "combat ready". Succubbus turns into a human, charms someone, then gets found out. No combat, no fancy spells. She runs or dies. I just don't see why players can be combat/stealth/diplomacy boys and enemies can't. Edited by Oner, 23 February 2013 - 02:08 PM.